Assalamualaikum & salam sejahtera, akhirnya saya siap juga menyiapkan entry yang ketiga, senarai kawasan pelancongan menarik di Malaysia, seperti yang ada sedia maklum, sempena dengan Tahun Melawat Malaysia 2014, saya akan menyenaraikan info-info dan tempat pelancongan yang menarik yang ada di setiap negeri di Malaysia & sebelum ini saya menyenaraikan tempat pelancongan yang menarik di perak dan pahang anda boleh klik link di bawah untuk membaca entry terdahulu. Batu Ferringhi is a beach area in Penang, Malaysia. Along this famous beach area, there are numerous large hotels, restaurants, transport rental services, and souvenir stores. Batu Ferringhi is located adjacent to Teluk Bahang and Tanjung Bungah. Visitors can purchase pirated DVD's and CD's and knock off copies of designer brands such as Gucci and Jimmy Choo. For tourists, Batu Ferringhi features hotels such as Hard Rock Hotel Penang, Hydro Hotel, Holiday Inn, Bayview Beach Resort, Golden Sands Resort, Grand Plaza Parkroyal Penang, Shangri-La's Rasa Sayang Resort and Spa, etc. It is also famous for its Night Market, featuring many foreigners at night. Beach boys would able to service the many tourists to this place. Tanjung Bungah (also spelt as Tanjong Bunga) is a suburb of Penang, Malaysia. It is situated in the northern part of Penang Island, with a postal code of 11200. It is one of the suburbs en route to Batu Ferringhi and thus a tourist attraction. 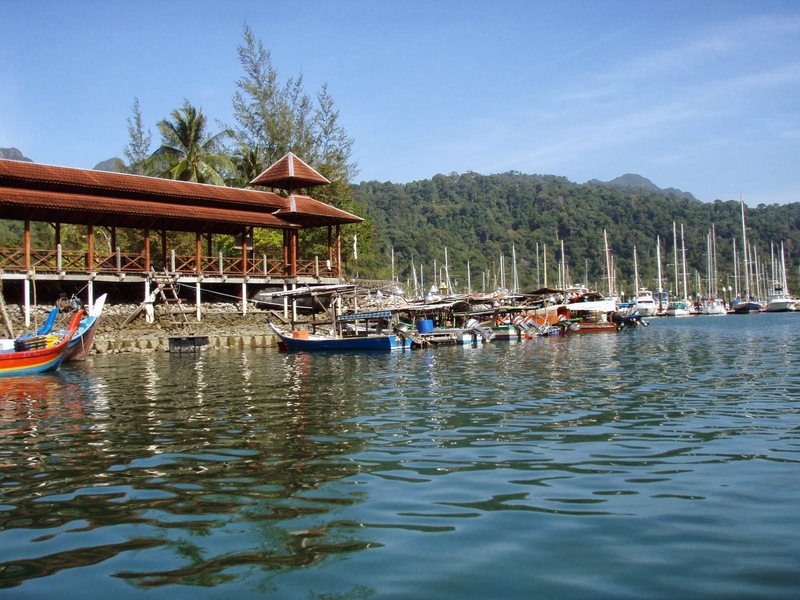 Many hotels, which are lower priced than those in Batu Ferringhi, are located in Tanjung Bungah. 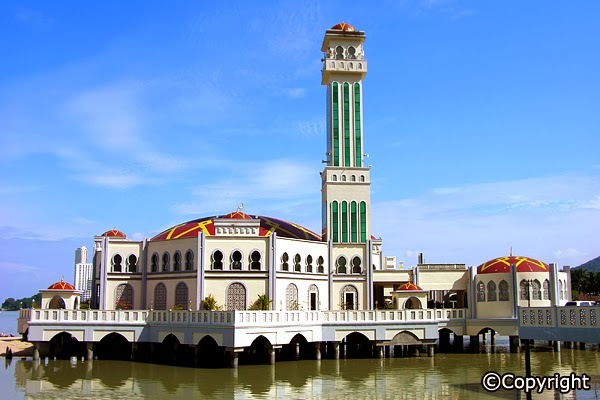 A tourist attraction in Tanjung Bungah is the Floating Mosque, which was built at a cost of 15 million Malaysian ringgit and completed in 2005. Penang Toy Museum is another tourist attraction. George Town is the capital of the state of Penang in Malaysia. Named after Britain's King George III, George Town is located on the north-east corner of Penang Island. With a long and illustrious history under its belt, Penang’s capital city is one of the most interesting and colourful cities in Malaysia. Named after King George III, walking down the streets of Georgetown is like walking through the paths of history. As acknowledgment of its well-preserved cultural and historical heritage, the city was listed as a World Heritage Site by UNESCO on the 7th of July 2008. So many attraction at here such as, Kek Lok Si Temple , Penang Street Art, Penang State Museum & Art Gallery, shooping, nightlife, food and more. Making strolling through Georgetown’s streets just a little bit more exciting, in 2012 Penang’s municipal council hired London-trained Lithuanian artist, Ernest Zacharevic and charged him with breathing new life into some of the atmospheric Chinese shop-houses around the inner city. An effort to spawn awareness of the rich history of the streets, the project was a success with Zacharevic turning certain areas into thriving tourist destinations that also became the much-talked about object of attention among locals. 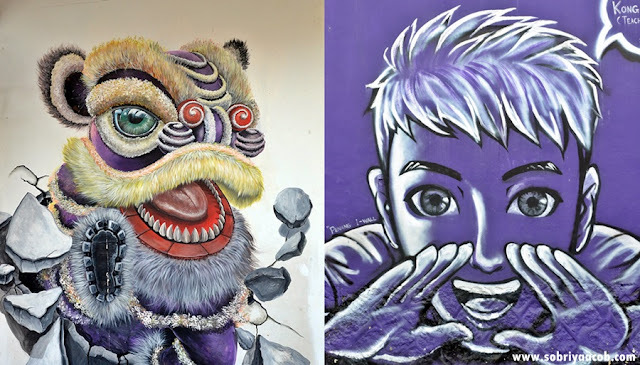 His artwork is spread out across Penang’s city centre, along roads like Muntri Street, Weld Quay, Lebuh Leith, Armenian Street, Ah Quee Street and more.To best see the artwork, we recommend an evening stroll through Georgetown’s roads, starting at Muntri Street and ending at Weld Quay! The Penang National Park usedby scientists, researchers, and nature lovers to explore its natural treasures. Previously known as the Pantai Acheh Forest Reserve, this pristine site is known to harbour 417 flora and 143 fauna species. Pantai Acheh Forest Reserve, located at the northwestern tip of Penang, was declared the Penang National Park in April 2003. Penang National Park is the first protected area legally gazetted under Malaysia's National Park Act of 1980, signifying the State and Federal governments’ environmental protection efforts. Penang National Park was established to preserve and protect flora and fauna as well as objects with geological,archaeological, historical, ethnological, scientific, and scenic interests. Natural attractions of Pulau Pinang National Park include the Hill / Lowland Dipterocarp Forests, Mangrove Forest areas,sandy beach habitats, the unique seasonal meromictic lake and the open coastal seas. Stands of Seraya (Shorea curtisii) trees, common feature of coastal Dipterocarp Forest, can be easily seen on steep slopes around Muka Head. There are over 1000 species of plants recorded which are dominated by the family Dipterocarpaceae, Leguminoceae, Apocynaceae, Anacardiaceae, Euphorbiaceae and Moraceae. Part of the Pantai Acheh Forest Reserve had been logged before 1955; no forest areas there have been logged since 1955. Alllogging activities were stopped in 1996, and Malaysian public funding has been allocated to develop the Penang National Park, within guidelines. Also known as the Temple of Supreme Bliss, Kek Lok Si is said to be the largest Buddhist temple in Southeast Asia, and arguably one of the most famous in Penang. Located in Air Itam, the hills in that area (called “He San” or Crane Hill) have traditionally been regarded as geomantically significant, having all the right “feng shui” for a temple. In fact, they are extremely popular as a retreat for monks and Taoists striving for immortality. The temple’s construction began in 1893, inspired by the chief monk of the Goddess of Mercy Temple at Pitt Street. The Manchu Emperor Guangxu approved of the project, bestowing a tablet and gift of 70,000 volumes of the Imperial Edition of the Buddhist Sutras. Other Chinese rulers, such as His Majesty Emperor Kuang Xi and Empress Cixi of the Ching Dynasty, have been sufficiently impressed with the temple so as to have bestowed the temple with gifts. The best time to visit Kek Lok Si is during the Chinese New Year celebrations, when the temple is adorned with thousands of bright hanging lanterns. At other times, there is still much to see, with prayer halls, pagodas, bell towers and a tortoise pond topping the list. Its main draw is the striking seven-storey Pagoda of Rama VI (Pagoda of 10,000 Buddhas), completed in 1930. Boasting 10,000 alabaster and bronze statues of Buddha, its design symbolises the harmony between Mahayana and Theravada Buddhism, marrying a Chinese octagonal base with a middle tier of Thai design, topped by a Burmese crown. One can climb to the top of the pagoda via a steep flight of stairs and be rewarded with a great view of Penang. The 30.2m bronze statue of Kuan Yin, the Goddess of Mercy, is yet another popular highlight. The Penang War Museum was restored as a memorial to its dark days and opened to the public in 2002. Interesting fact: the 20-acre museum houses historical artefacts such as cannons and even features underground military tunnels and ammunition bunkers which are located nine metres underground. Some of these tunnels lead all the way to the sea as they once served as access routes to get to submarines. Navigating through these passageways sometimes forces one to walk or even crawl through very narrow, confined spaces. Additionally, you can also tour the barracks, cookhouses, gun emplacements and other structures in the eerie and vast Penang War Museum as there are plenty of signposts to guide your way. The Penang Botanic Gardens, more popularly known as "Waterfall Gardens", was established by the British way back in 1884 from an old granite quarry site. It lies in a deep valley, at the foot of 366 feet jungle clad hills, bound by evergreen tropical rain forests, divided by a cascading stream that meanders through a sprawling 29 hectares of prime and undulating grounds. Its lush greenery and tranquil setting makes it a favourite park and a popular tourist attraction. It is Penang's unique natural heritage, being the only one of its kind in Malaysia. 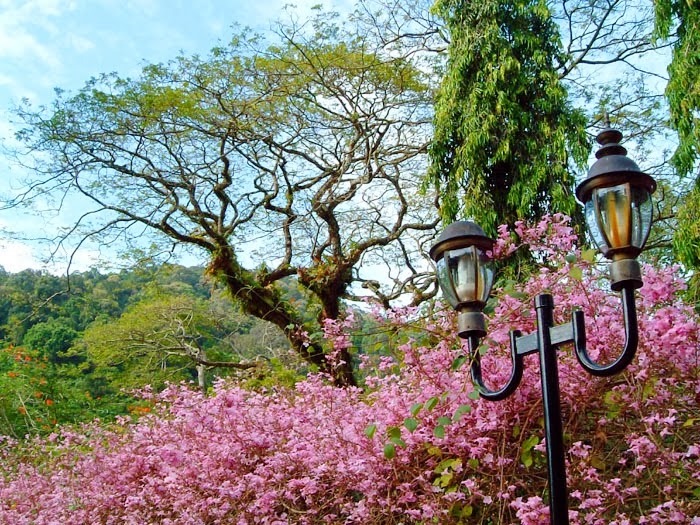 Besides, being a repository of flora & unique to the country and to the region, it serves as a "green lung" for Metropolitan Penang.The Penang Botanic Gardens is Penang's unique asset, being the only gardens of its kind in Malaysia. Various floras unknown to many are found in these gardens. Besides being a botanic centre, the garden is a popular recreational spot. Early in the morning, many people come to the Gardens to jog, exercise and enjoy clean fresh air. As the day goes on, hundred of visitors come to sit at the lawn, by the stream or underneath the shade of trees. Pulau Aman stands for 'Island of Peace' in Malay. Located some 2.5 nautical miles off the mainland state of Seberang Perai, the island is a tranquil place with a population of only 300 people living in a quaint village, surrounded by lush tropical rainforest. A short boat ride from the town of Tambun will take you here. Located just off the island’s south-east, Pulau Jerejak is a lush tropical island with a rich and colourful past. Once ‘Malaysia’s Alcatraz’, Pulau Jerejak has been developed into a major tourist attraction, with a resort, a Spa and a number of recreational facilities available for visitors to this island. The island’s jungle, one of the few remaining rainforests in Malaysia, is said to be more than 400 years old. There is a ferry service from the Pantai Jerejak terminal in Bayan Lepas, which takes visitors to and from the island daily. The scenic beach of Teluk Bahang is rocky, shady and serene - perfect for a weekend retreat minus the large crowds of nearby Batu Feringghi. Those who crave isolated beaches should go to Teluk Duyung, Monkey Beach, Pantai Kerachut or Pantai Mas – all only accessible via trails around the Pantai Acheh Forest Reserve in Teluk Bahang. There are camping grounds available for you to spend a night under the stars and in the morning, head to the recreational forest for jungle-trekking or visit the Forestry Museum. Coastal villages dot the area where evenings signal the return of the fishermen from the sea with their day's catch. Look out for great seafood in Teluk Bahang - it's one of the best! The Teluk Bahang Dam is the largest dam on Penang Island. It was built to provide an alternative source of water supply to the Ayer Itam Dam and the Botanic Gardens Waterfall. It is located on the southern part of Teluk Bahang. From its crest, one can enjoy a scenic view of the northern coast of Penang Island. The Teluk Bahang Dam was completed in 1999. The dam has a height of 58.5 meters and a length of 685 meters. The crest is 12 meters thick, allowing for a roadway to be built along it. The Teluk Bahang Dam is often used as the venue for international dragon boat races. P. Ramlee's House at No. 4A, Jalan P.Ramlee Pulau Pinang is the birthplace of the late P. Ramlee. The house was built in 1926 by his father and his uncle, Rejab bin Hussein. The house has been repaired by his uncle during the Japanese Occupation and once again in 1948. Today the house has been renovated and preserved for the third time by the National Archives of Malaysia. Although it is renovated, the house remains unchanged and still retains its original shape. The conservation project on P.Ramlee's House is an extension of the P.Ramlee Memorial in Kuala Lumpur. It is also the government's effort in preserving the memory of P.Ramlee as Malaysia's leading artiste. The P.Ramlee Memorial Commitee's meeting on 22 November 1988 decided that his house should be restored and preserved. The house has undergone repairs and conservation, and hopefully it will become an historic place for visitors who wish to remember the Great Artiste himself. It also stands as a symbol of honour from the government in commemoration of the deeds of a great artiste to the nation. The house has been carefully furnished, in order to present the likeness of the original setting that prevailed during the period of his youth. Various archival materials and items which relate to his early life are also on display. was destroyed during the Second World War. 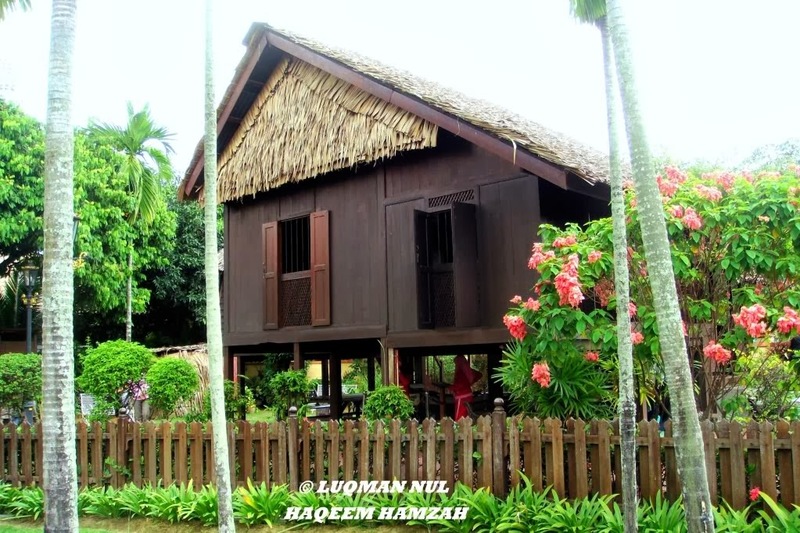 In 1956, under the encouragement of a Mr. Bingham, the nucleus of a new museum took shape at a residence in Northam Road (Jalan Sultan Ahmad Shah). When the building was demolished, the available collections of artifacts and archives were scattered. The initiative to run a museum was subsequently left to historical and arts societies which held lectures, exhibitions and undertook research. The proposal to have a state museum in Penang was suggested by the state government in 1962. The first Prime Minister of the nation, Tunku Abdul Rahman, had proposed that the existing Hutchings School be utilised for the project. 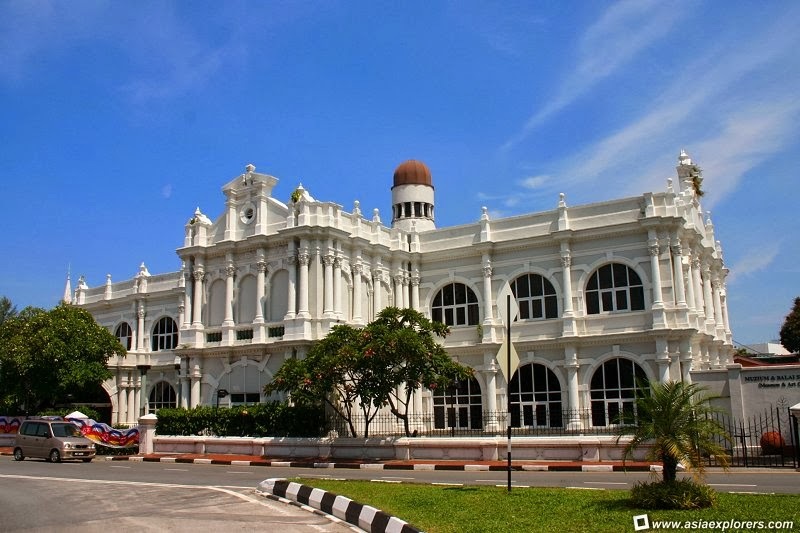 The school was the premise of the Penang Free School where he and many leading citizens of the country had been pupils. Today, the Museum possesses archive and artifacts that are state treasures. Outstanding amongst these are eight of the ten original oil paintings executed by Captain Robert Smith (the remaining two being in a private collection). Other artifacts of note include extensive collections of Baba Nyonya porcelain, furniture, jewellery and costumes that are unsurpassed in their artistic beauty and historical value. The Museum is the history of, and a tribute to, the peoples of the island. It emphasises the multi-cultural composition of the state and demonstrates unity in diversity. The inherent grace and cultural heritage of each community are reflected in the national treasures, cultural and religious performances and the mores of each individual society. Peranakan Mansion in Penang provides a fascinating history of Nonya Baba heritage (Mixture of Immigrant Chinese assimilated into Malay culture). The house belonged to a wealthy Nonya family and passed through generations. You are able to catch a glimpse of their lifestyles and the architecture of a Chinese house with European and Malay influence. It is actually very beautiful and well preserved up to even the cosmetics used during those days. It is located in 29 Church Street in Georgetown Penang and was one of the pit stops for the Amazing Race 2009 or 2010. Google Peranakan Mansion Penang. Admission is RM$20 per person but is well worth it. Toy may be children best friend, but when you talk about a large museums filled with hundreds of thousands of toys - it is no longer a child’s play. The museum is a must visit attraction in Penang as this is where all the fun begins. Reputed as the largest of its kind in the world, the Museum house over 100,000 toys, dolls and others fun collectibles. It has also entered Malaysia Book of Records as the first toy museum in the country and with the largest toy and figurine collection. Passion for toys is where it all begins, says the proud owner Loh Lean Cheng of his collections. He was inspired with toys collection after visiting the London Toy and Model Museum at the age of 19. For the past 30 years - Starting from the first toy that he bought in 1973 at 0.5 pound (Popeye), his collection just keeps on growing and growing. Today, almost everything that you ever think of (on toys) can be found here. Used to be located in Jalan Tanjung Bungah, the museum has since moved to another premises at 1370, Mk2, Teluk Bahang, 11050 Penang which is exactly beside SJK(C) Eok Hua School in Teluk Bahang, Penang. Fort Cornwallis is situated at the spot where Captain Francis Light was supposed to have landed in 1786. Originally a wooden structure, the fort was rebuilt between 1808 and 1810 with convict labour. It was named after Charles Marquis Cornwallis, a distinguished Governor General of India, and designed to protect the harbour from possible French attacks. Penang Hill is located in Ayer Itam, Penang, Malaysia. The hill is situated about 6km away from the city centre of Georgetown. It is a hill resort that consists of a group of peaks. It is 830 meter high and is cooler than the city beneath it. It is said to be approximately 3 degrees cooler in comparison the places near to coast. Overview Penang Hill is also known as Bukit Bendera in Malay Language. It is the getaway from the concrete jungle in the hustle bustle of the city of Georgetown. Penang Hill is Malaysia's first hill station. It was discovered by the legendary Francis Light when he commissioned the area to be cleared for plantation. Most tourists visit the hill as it offers serenity and tranquility with mesmerizing view of Penang and friendly nature. There are quite a number of activities that can be done on Penang Hill. You can spend some time to get a taste of the diversity of Malaysian's cultures by visiting both mosque and Indian temple on the hill. There is a bird sanctuary and a canopy walk up there too. If you plan to spend a night or two on the amazing hill, there are bungalows available for rent with affordable price. Cheah Kongsi is the first of Penang’s five great Hokkien clan houses. Set in the block beside Khoo Kongsi, it resembles the grand temples and palaces usually seen in China. 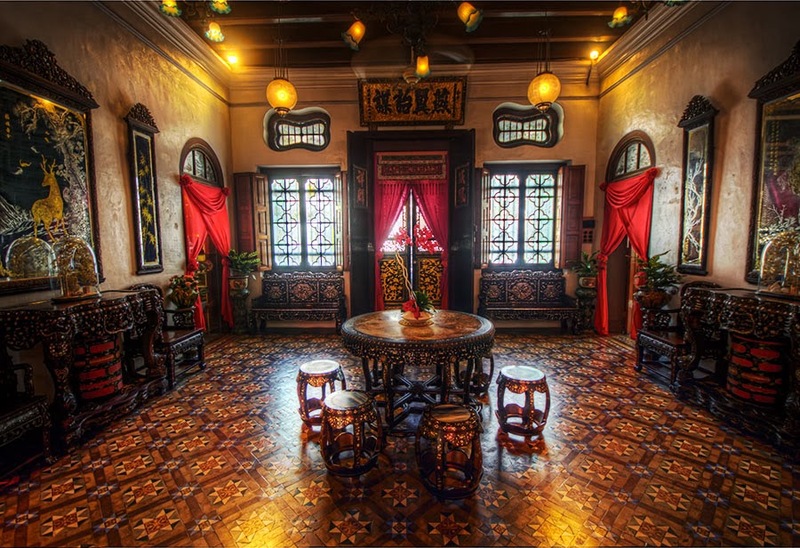 The ornate building is the only clan house in Penang that fuses Malay, traditional Straits Chinese and European design. An elaborate sight along this street, the first thing visitors see when they visit this clan house are columns topped with British-style ‘lion head’ statues that support a large balcony with intricate iron railings. Topping it is a sweeping roof decorated with intricate Chinese and Dutch porcelain and stucco carvings of dogs and lions.Cheah Kongsi also doubles as a museum: to exhibit the temple’s 183-year history, several pieces of original furniture and artefacts (well taken care of) are on display in the temple’s smaller rooms. 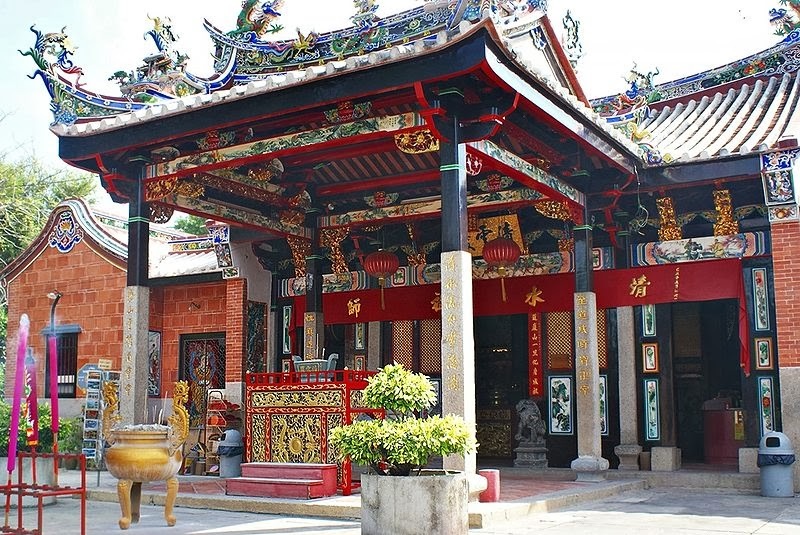 Built in 1805 in the memory of the renowned Chinese monk Chor Soo Kong, the Snake Temple is situated in the small town of Bayan Lepas and is famous for the fact that it has pit vipers living on the temple ground. Legend has it, that Chor Soo Kong, who was also a healer, gave shelter to the snakes of jungle. After the completion of the temple, snakes appeared on their own accord. Today the snake population of the Temple of the Azure Cloud is very small, due to the urbanization of the area, but you can still see them coiled up on the altar tables, and touch them if you are brave enough. Originally the snakes were said to be rendered inoffensive by the smell of the incenses, but just for good measure, today the resident vipers are devenomed. Kapitan Keling Mosque is a Penang landmark. Built in 1801 by Penang’s first Indian Muslim settlers (East India Company troops), the Indo-Moorish structure is set at the junction of Lebuh Buckingham and Lebuh Pitt. It is the largest mosque in Georgetown and looks sublime at sunset. It was named after the ‘kapitan’ of the Keling (a leader of the South Indian community similar to the leader of the Chinese community), Cauder Mydin Merican. The whitewashed mosque is topped with large golden-yellow Mughal-style domes, crescents and stars and features a single, typical Indian-Islamic minaret from which the sound of the azan (call to prayer) can be heard. Update:Bagi anda yang sukakan bercuti di dalam negara, boleh rujuk link di bawah senarai destinasi perlancongan menarik yang ada di seluruh Malaysia. banyak tempat yang menarik di pulau pinang untuk dilawati.. hampir semua tempat yang disenaraikan kat atas tu akak tak pernah pergi.. hehe..
ya makanan kat sana memng heaven..
btw thx atas info2 ni.. at least org yg tak tahu pun boleh jd tahu..
wahh bagus senaraikan tpt² menarik kat Penang. akak mmg tgh plan nak jalan² ke Penang nanti ni. ya jom jalan2 di mlaysia bonda..
tak pernah lagi sampai Penang en.Sobri..
woww... so many places to visit! Tgh cari review psl penang..tq..helps me a lot.. I am looking for interesting places to visit here in utara and ur blog do helps a lot.. nak bawak family jalan2, sebab family pon dtg dari jauh. Dorg dtg pon tak lama, 3 hari stay je, so ingat nak bawa g penang la, sebab banyak tempat pelancongan yg menarik. sy xpenah smpi pun penang..huhu wekeend ni bru nk bcuti ke sane..pas bce entry ni makin bkobar..hahaha in shaa Allah smpi ke sana..
Walaupun saya tinggal di Penang, tapi banyak juga tempat yang disenaraikan saya tak pernah pegi.Hehe. semua tempat ni dekat dekat ke? berapa bajet pergi sana? tidak dekat juga.. ada yg jauh ..tapi di sekitar bandar geortown yg bdekatan kebayakan muzium..art street..masjid keling dan padang kota..
di batu ferinngi- toy muzium, teluk bahang, dam *empangan* penang national park..taman rama2..
try fahrin budget hotel, rm65 pernight singgle, area sungai nibong(berhadapan station bas sg nibong) and jelutung. kalau nak honeymoon ke Bukit Bendera okey ke? bukit bendera ni tak ada hotel kat atas tu, cuma melawat je... kalau nak batter stay dekat batu feringgi, dapat le mandi pantai malm ada night walk @ boleh lepak santai sekitar gurney drive... tak jauh pun... kalau suka nature boleh le ke taman negeri... area teluk bahang.kat sana boleh pegi pantai kerachut @ monkey beach... nice pantainya... nak mandi air terjun boleh singgah taman rimba @ ke taman rama2 and toy museum(RM15). nak xtream singgah le kat escape park(RM60) banyak game kat sana. nak makan laksa sedap terus je ke balik pulau Laksa Janggus.. makan t/hari kat cargas cafe bayan lepas... boleh juga melawat aquarium(RM5) @ war museum(RM20) kat batu maung. terima kasih atas rujukan nie..
Nak ke penang ahad ni..plan nk ke bukit bendera,art of street,nk mkn nasi kandar..nk mkn pasemboq..so,mna hotel blh sy check in yg berdekatan dgn tpt2 nk dituju ni..?ada cadangan x? Pulau Pinang bnyk tempat2 menarik ni.. hjt nk pi lawat penang. Tengah membaca. Ingin ke sana 1 jan 2015. Good info..Perisian yg baik dan menarik. waw. tak sangka banyak tempat menarik di p.p. anyway terima kasih sebab share. sangat2 membantu. insyaAllah sy dan famili nak pergi bercuti di p.p hujung tahun ni. 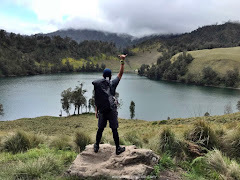 PENGKHIDMATAN PAKET TOUR DAN SEWA KENDERAAN UNTUK LAWATAN YANG BERBALOI DENGAN FAMILY KAT PADANG DAN BUKITTINGGI. 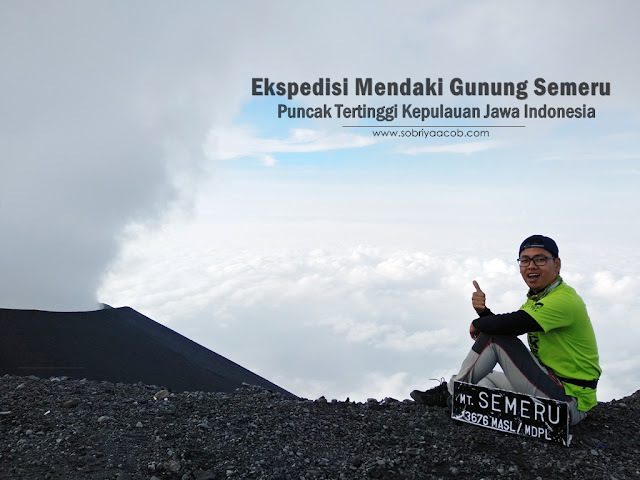 Salam dari Kita Holidays Travel & Tour Indonesia. Kami menyediakan PAKET TOUR UNTUK PADANG DAN BUKITTINGGI, dan juga untuk PENGKHIDMATAN KENDERAAN SAHAJA dengan harga yang sangat berpatutan dengan driver yang mesra, educated, baik hati, sopan, suka menolong dan sudah lama berpengalaman dalam memberikan pengkhidmatan pada pelancong dari Malaysia. Kami berusaha menjadikan lawatan Tuan/Puan sangat berbaloi dan bermakna dengan famili dan rakan-rakan di masa percutiannya bersama kami. E-Mail : am_holidays@yahoo.com / kita_holidays@yahoo.com / kitaholidays@yahoo.com. Saya mohon maaf pada Tuan/Puan untuk boleh iklan sedikit disini. Kami suami/isteri ada menjual sambal ikan bilis. Sesiapa yang tak sempat nak masak. Sesiapa ada anak/kenalan yang belajar di asrama. Sesiapa yang suka ratah sambal ikan bilis. Sesiapa malas kopek ikan bilis. Penyelesaian nya adalah sambal ikan bilis.